Hope in the form of living a healthier life and breathing easier. The truth is that most people who are addicted to smoking need help to quit. There are smoking cessation programs to help smokers quit, but unfortunately many people are not getting the help they need because many health insurance plans don’t cover the necessary treatments. Most states are severely lacking when it comes to providing comprehensive services to those people addicted to nicotine. Since 2008 the American Lung Association began tracking data on coverage of cessation treatments. Presently, only six states provide full comprehensive coverage for Medicaid recipients: Indiana, Massachusetts, Minnesota, Nevada, Oregon and Pennsylvania. Why is quitting “cold-turkey” so difficult? In the same report from the American Lung Association, it’s reported that many people need help quitting because going “cold turkey” doesn’t work. What are the approved FDA tobacco cessation treatments? Tobacco kills more than 400,000 people each year in America, and these are preventable deaths. Comprehensive coverage requires providing easy access to the seven cessation medications and three forms of counseling recommended to treat nicotine addiction by the U.S. Department of Health and Human Services (HHS) and the Centers for Disease Control and Prevention. Most states like West Virginia are doing a poor job in helping smokers get the help they need. You can let Congress know that smoking cessation programs are necessary and vital for the health and well-being of people. The American Lung Association makes it easy for you to contact Congress. “I am writing to urge you to fight to include wellness and prevention measures as part of health care reform. Providing smokers with help quitting will not only save lives, but it will also save money. Smoking-attributable diseases account for $96 billion in health care expenses in this country every year. Addiction to nicotine is a medical condition, and there are treatments like medications and counseling that have been proven to help more smokers quit. According to the American Lung Association’s new report, Helping Smokers Quit: State Cessation Coverage, most smokers do not have access to all the treatments that can help them quit. Now is the time to change this – health care reform is an important opportunity for you to make sure all smokers have the best chance possible to quit. The U.S. Public Health Service recommends seven medications and three forms of counseling as proven treatments for tobacco cessation. All State Medicaid programs should be required to cover ALL of these treatments as well as any other public health care program. These treatments should also be part of the standard, required benefits package for all private health care plans. The lack of comprehensive coverage by most states will leave those people with a medical condition without hope. The good news is…there is hope for smokers. There is treatment available that can help save their lives. 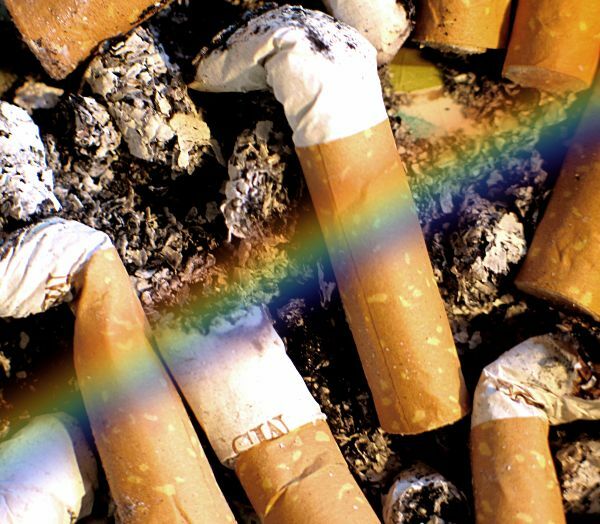 Maybe at the end of their rainbow, they are tobacco free and living a healthier and happier life. Talk to your doctor and health care professionals about treatment options. Work together to find out what’s best for you. Remember to always ask questions and be in charge of your health. Always make sure you understand exactly what’s involved in your treatment. We would love to hear from you. Are you a smoker? Have you tried quitting “cold turkey”? Were you successful? Have you used any of the 7 recommended FDA tobacco cessation treatments? How did you quit smoking? What advice do you give to those people who smoke who desperately want to quit? How would you help them? Merry Christmas and a prosperous Healthy New year! On January 2nd 2010 historically NC will impose a ban on smoking in bars and restaurants, and this is one of the top states for tobacco production. The American Heart Association is very excited and helping people quit is equally important. I teach smoking cesation lclasses in a holistic manner-mind, body and spirit approach, because I believe it will help prevent relapse as people are given healthier alternatives in coping with lifes challenges like spirituality, aromatherapy, stress-management and exercise. I hope all states will develop free or low cost smoking cessation programs and thus help America become healthier.